UFSM Santa Maria - Brazil, for contribution of this Report. Nondestructive testing (NDT) and nondestructive evaluation (NDE) methods and equipment are indispensable for characterization of properties and monitoring quality and integrity of materials and structures. NDT methods combined with multi-disciplined engineering approach help to make an expert decision about maintainability, rehabilitation, and fitness for service of Infrastructure Systems. The purpose of the Symposium was to provide a forum on current state of the art of NDT in respect to its advancement and contribution to the safety systems responsible for characterization, evaluation, and quality control of materials and structures. The Symposium sought to emphasize educational aspects and public awareness of the NDT and NDE industry importance in the 21st century. The event consisted of the Symposium Professional Sessions, Poster Session, and International Advanced Studies Institute Seminar (November 25). 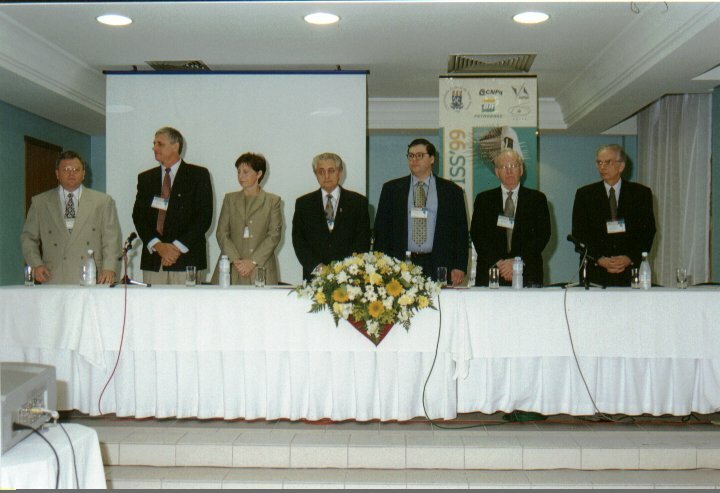 The NDTISS'99 Professional Sessions took place on November 23, 24, and 26. There were 40 aural presentations made during the Sessions. Poster Session included ten posters. All the posters were for permanent exposition. The presenters were requested to be present by the poster during one hour after the lunch to give explanations and answer questions. Overall number of attendees was about 100. 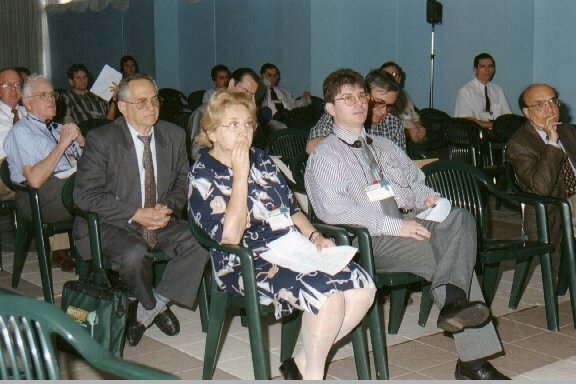 The NDTISS'99 Book of Proceedings consists of 61 paper received for aural and poster presentations and included into the Preliminary Program of the event. The papers were distributed among the eight parts in accordance with the Symposium Technical Program. The Symposium demonstrated the expanding interest to the NDT applications in Brazil. It helped specialists from different industries to better realize importance of the NDT for assurance of safety and durability of infrastructure. Positive feedback from the Symposium presenters and participants confirming their interest in the next event of this kind in Brazil has been very encouraging. The NDTISS'99 Report will be followed by a call for papers for the next NDTISS'2001 International Symposium. 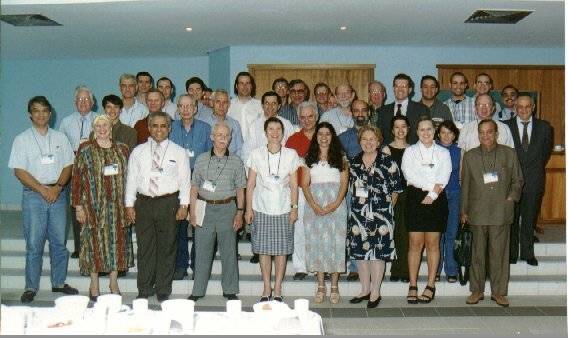 The NDTISS'99 international participation included attendees from the United States, United Kingdom, France, Switzerland, Israel, India, Argentine, and Uruguay. Brazilian and international attendees had the opportunity of contacting personally the best specialists in the NDT field. Person-to-person relations are extremely important not only for the better mutual understanding and exchange of ideas, but also for development of inter-institutional connections and joint projects. Photo 3. 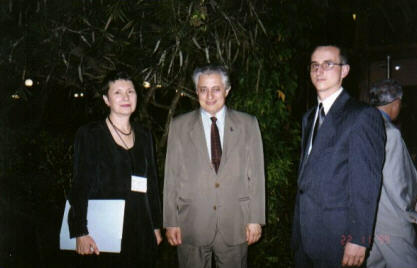 A Group of the Symposium Participants. SYMPOSIUM CHAIRMAN Robert E. Green, Jr.